When someone you love is diagnosed with Alzheimer’s, a host of concerns and questions are bound to come up. You may wonder what life will be like for you and your loved one as the disease progresses and they lose their ability to function independently. You will probably start thinking about how to best provide for their care once they need help performing routine tasks. One unavoidable aspect of Alzheimer’s care is the need to plan financially for your loved one’s long-term care. In the period immediately following a diagnosis of Alzheimer’s disease, figuring out how to provide high-quality care for your loved one is a top priority. However, the reality of paying for such care can compound the stress of an already emotionally difficult situation. In-home care and nursing home care can both be very expensive, and are often not covered by insurance. It’s not uncommon for people to exhaust their life-savings paying for long-term care. The families of people needing long-term care also carry a heavy financial load, often going into debt paying for the care. However, while it may seem overwhelming at first, there are resources available to help you pay for your loved one’s care. Agencies like Homecare Planning Solutions are set up to walk you through the process of financing long-term care. They can give you all the information you need to make informed choices about your loved one’s care. Homecare Planning Solutions can help to evaluate your finances in order to decide the best course of action, as well as assemble relevant documents and submit applications to Medicaid and insurance agencies. They can also negotiate with insurance companies and care providers on your behalf to insure that you get the best rates possible.  Finally, Homecare Planning Solutions can provide quality in-home care at no cost to you while you decide the best way in which to pay for your loved one’s care. Although confronting an Alzheimer’s diagnosis can cause lots of worry and anxiety, there is help available when it comes to important decisions regarding financial planning for long-term care. Agencies like Homecare Planning Solutions can reduce the stress involved in paying for Alzheimer’s care and increase your peace of mind.